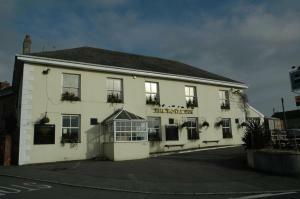 Located 39 km from Plymouth, Sand Dunes offers accommodation in Tywardreath. The property features views of the city and is 28 km from Newquay. 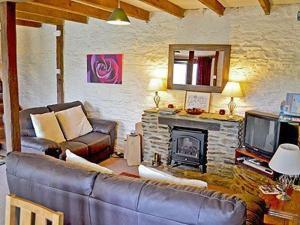 An ov..
Shoelace Cottage offers pet-friendly accommodation in Tywardreath. The unit is 40 km from Plymouth. The kitchen comes with an oven. A TV is offered. .. Situated 40 km from Plymouth and 28 km from Newquay, Greenhaven offers accommodation in Tywardreath. 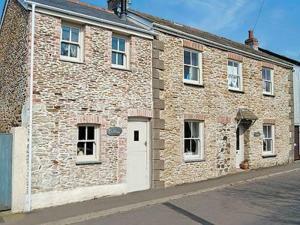 The property is 34 km from Falmouth and features .. Situated in Tywardreath, this holiday home is set 39 km from Plymouth. The property features views of the city and is 28 km from Newquay. The kitchen.. 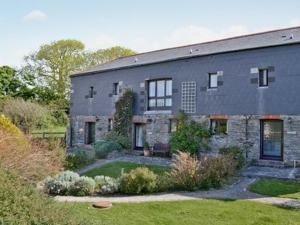 Located 39 km from Plymouth, Bootlace Cottage offers pet-friendly accommodation in Tywardreath. The property features views of the garden and is 28 km..
Rashliegh'S is a holiday home situated in Tywardreath in the Cornwall Region and is 39 km from Plymouth. The unit is 28 km from Newquay. Free WiFi is ..
Fowey Retreat offers accommodation in Fowey, 36 km from Plymouth. The unit is 31 km from Newquay, and guests benefit from free WiFi and private parkin.. Situated in Fowey, this holiday home is 36 km from Plymouth. The property features views of the garden and is 31 km from Newquay. A dishwasher and an.. Situated in Tywardreath in the Cornwall Region, this holiday home is 39 km from Plymouth. The unit is 28 km from Newquay. Free WiFi is offered through.. The Pool House offers pet-friendly accommodation in Tywardreath, 39 km from Plymouth and 28 km from Newquay. The unit is 35 km from Falmouth. There i..
Less than 5 miles from the Eden Project, the 4-star rated Royal Inn in Par offers attractive en suite rooms and a full English breakfast served in the.. Located in Fowey, this holiday home is set 36 km from Plymouth. 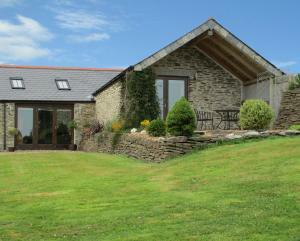 The property boasts views of the garden and is 32 km from Newquay. Free WiFi is provid..
Mill Cottage is a holiday home with a garden, set in Fowey. The property features views of the garden and is 36 km from Plymouth. Free WiFi is provide.. Situated in Fowey in the Cornwall Region, this holiday home is 36 km from Plymouth. The property is 32 km from Newquay and free private parking is ava..
Set in Fowey, this holiday home is situated 36 km from Plymouth. The unit is 32 km from Newquay. An oven and a toaster can be found in the kitchen an..
White Willow is set around one mile from Fowey, in the heart of Gribbin Head – Polperro Heritage Coast Region. Surrounded by woodland, the property ..
Offering a barbecue, Lerryn Lodge is set in Par, 42 km from Plymouth. Newquay is 26 km from the property. Free WiFi is available . A TV and DVD playe.. 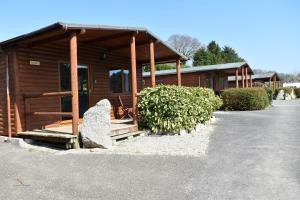 Situated in Fowey, this holiday home is 36 km from Plymouth. The unit is 32 km from Newquay. Free WiFi is provided throughout the property. The kitch.. Situated in Fowey, this holiday home features a barbecue. The unit is 35 km from Plymouth. Free WiFi is provided throughout the property. The unit fi.. Located 35 km from Plymouth and 32 km from Newquay, Tides Reach offers accommodation in Fowey. The unit is 37 km from Falmouth. There is a dining are..